We also put in calls to both Axl Rose and AC/DC reps and they have both said that at this time there is nothing they can confirm or deny. Now, lets look at that for a minute… in the event a story is false reps will normally tell you right away that the story is bogus. However, in the event that it is true or a very strong possibility but the press timing is not right they will normally say what they told us. So, if we were betting folk, our bet will be on this is all true and Axl will in fact help the band finish out their tour. 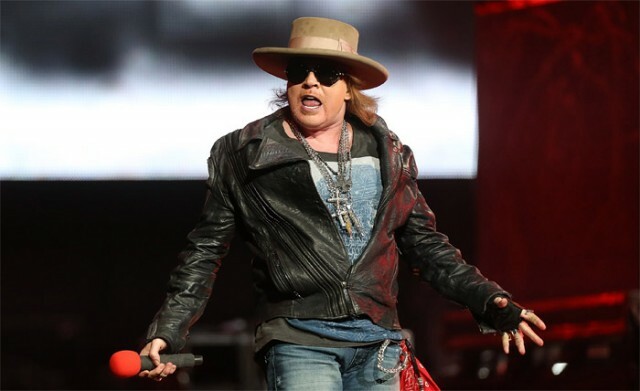 The only issue we see is Rose is also set to tour with the original lineup of Guns N’ Roses for the first time in 23 years next month at two shows in Las Vegas before headlining the Coachella Valley Music and Arts Festival in Indio, Calif. As, we also all know, Axl is not the most reliable front man to have at times causing internal fighting and showing up late to concerts. Our personal thought on this news is that going with Axl will be a fu**ing disaster.